On the PC that SQL Server is installed, you can sign into SQL Server using the computer name followed by the instance name. For example, if the computer name is Server1 and the instance name is Instance1, you would enter Server1\Instance1 in the Server name field. After you create a username and password in SQL Server, you can select SQL Server Authentication and enter your username and password. Select the Windows Start icon, type mmc.exe in search, and select mmc.exe. In the Console, press Ctrl + M (or select File > Add/Remove Snap In). Move the SQL Server Configuration Manager to Selected snap-ins and select OK. 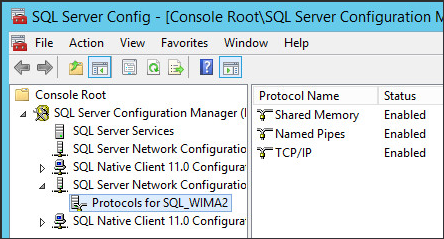 Expand SQL Server Configuration Manager > SQL Server Network Configuration > Protocols for instance_name. Right-click on Named Pipes and select Enable. Right-click on TCP/IP and select Enable. You should now be able to connect using an IP address. In Object Explorer, right-click on the root object and select Properties. Ensure Allow remote connections to this server is checked. Allow connections on port 1433 in Windows Firewall on the machine that has SQL Server installed. Check Port and select Next. Check TCP, enter port 1433, and select Next. Check Allow the connection and select Next. Check Domain, Private, and Public and select Next. 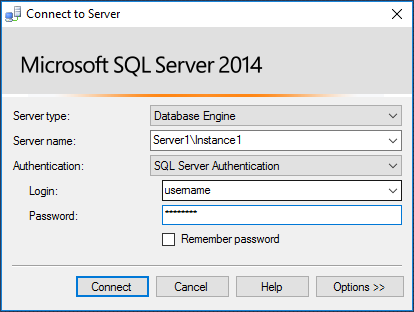 Type Allow SQL Server port 1433 and select Finish. 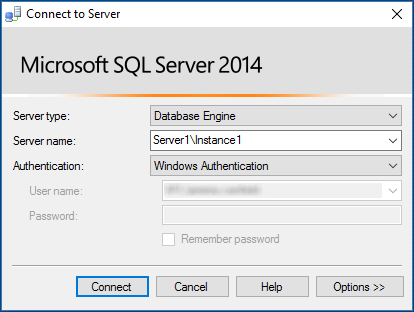 You should now be able to connect to SQL Server from another PC in the LAN using the DNS name or IP address of the server. To connect to SQL Server from a PC outside of the LAN, open port 1433 in your router.